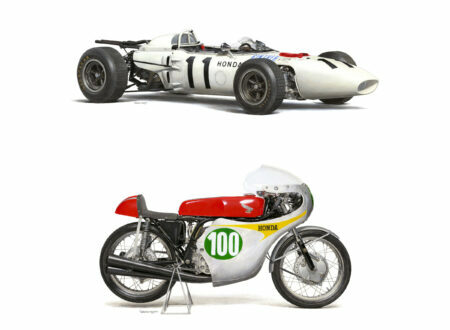 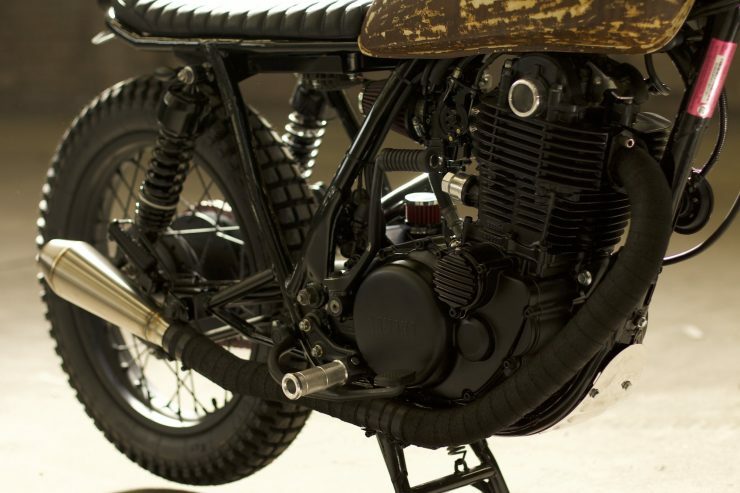 The Yamaha SR400 (and its sibling the SR500) are amongst the most reliable, and generally bulletproof motorcycles in existence. 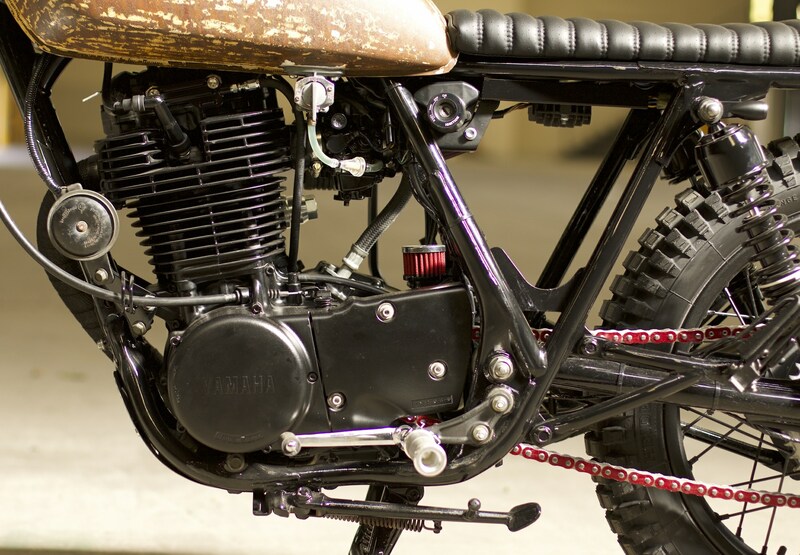 This is largely because the engine started life in the Yamaha XT500, an enduro-adventure motorcycle built to compete in the world’s toughest adventure races. 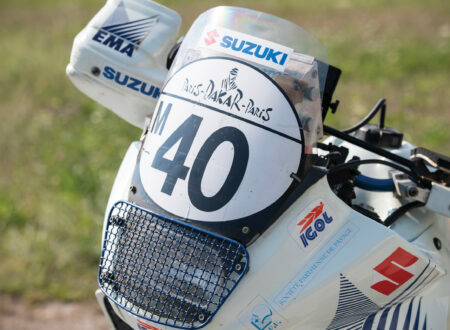 It succeeded in its mission, winning both the Paris-Abidjan-Nice and the Paris-Dakar Rally, and cementing Yamaha’s name as a builder of solid and competitive off-road racers. 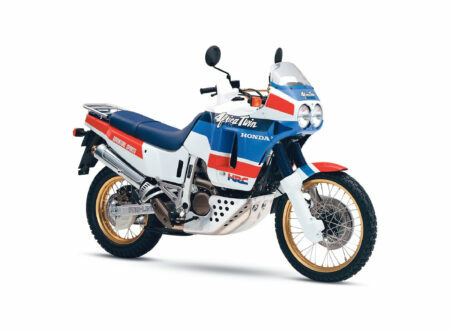 The success of the XT500 was largely down to its engine. 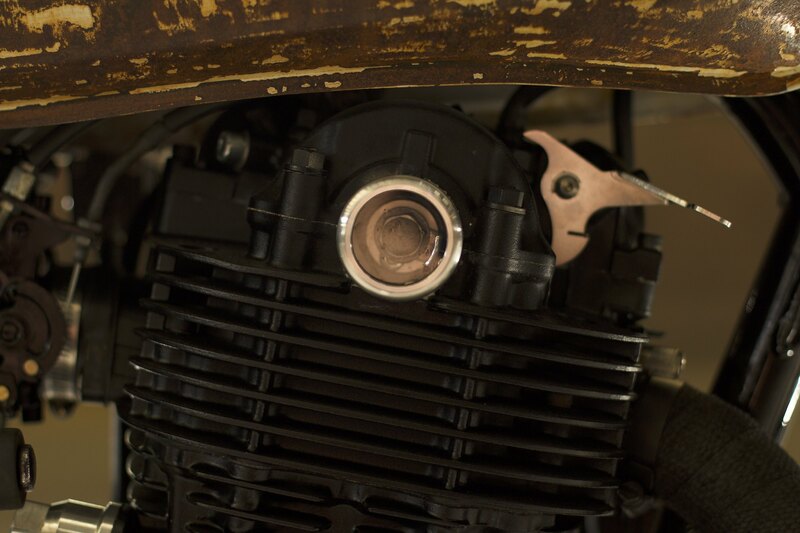 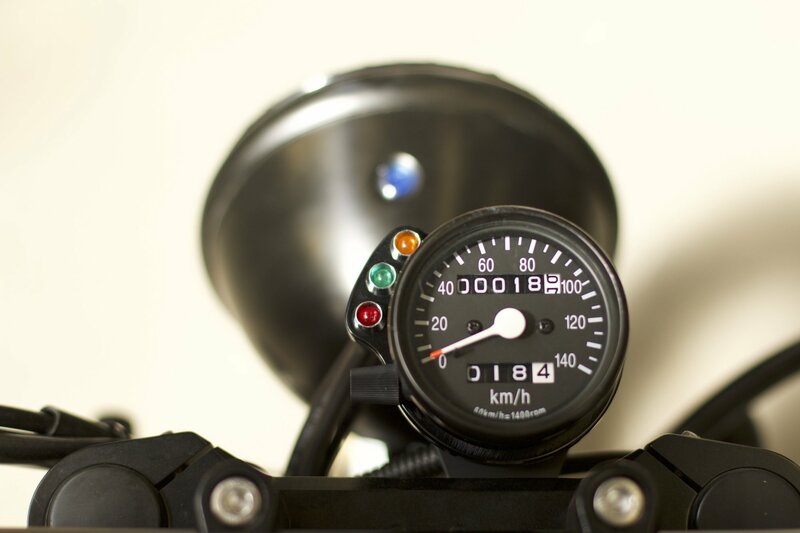 An air-cooled, SOHC, single-cylinder, single carburettor, single exhaust, single inlet valve, single exhaust valve motor with a 5-speed transmission and an output in the ~30hp range depending on tune. Taking this simple engine and fitting it to a lightweight road bike was always going to be a recipe for success, the product line featured both the SR500 and the SR400 depending on which country you were in (the capacity was reduced by way of a shorter piston stroke). Yamaha started selling the SR400/SR500 in 1978 and apart from a brief hiatus in 2008/2009 to develop fuel injection and a catalytic exhaust, it’s remained a popular production model for the Japanese marque to the current day. 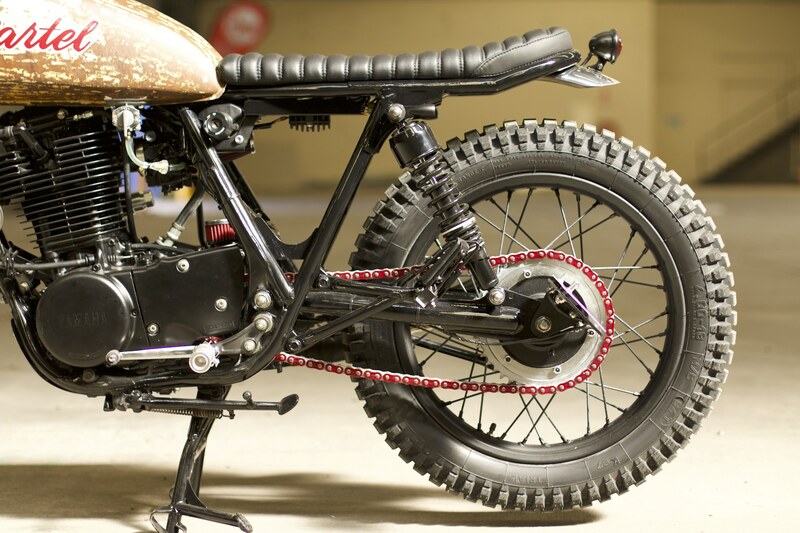 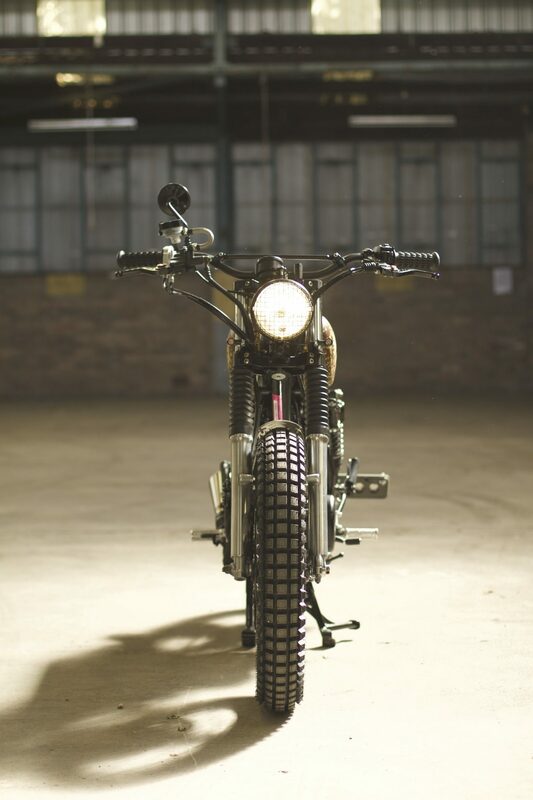 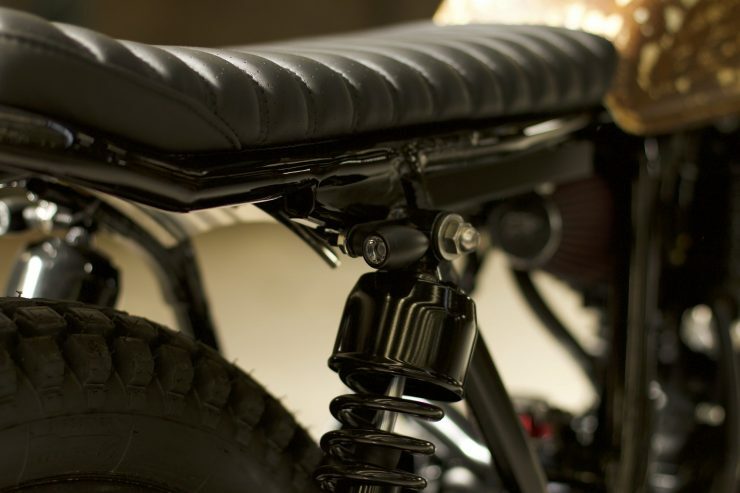 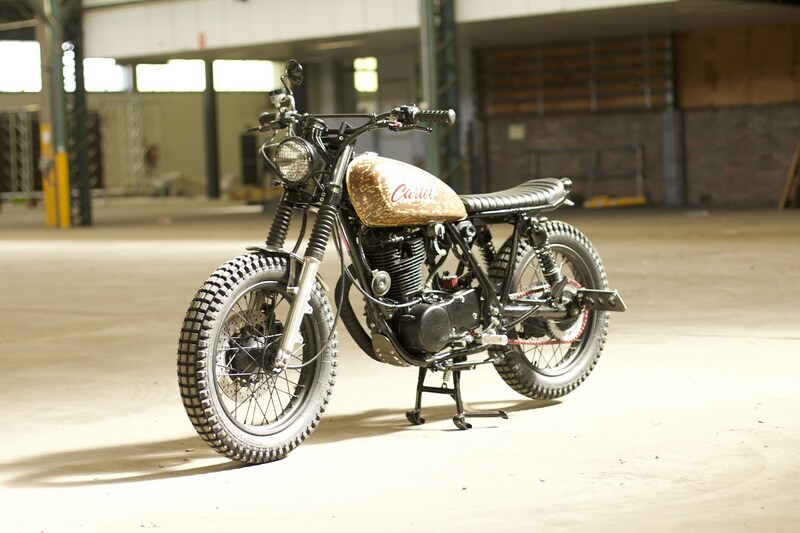 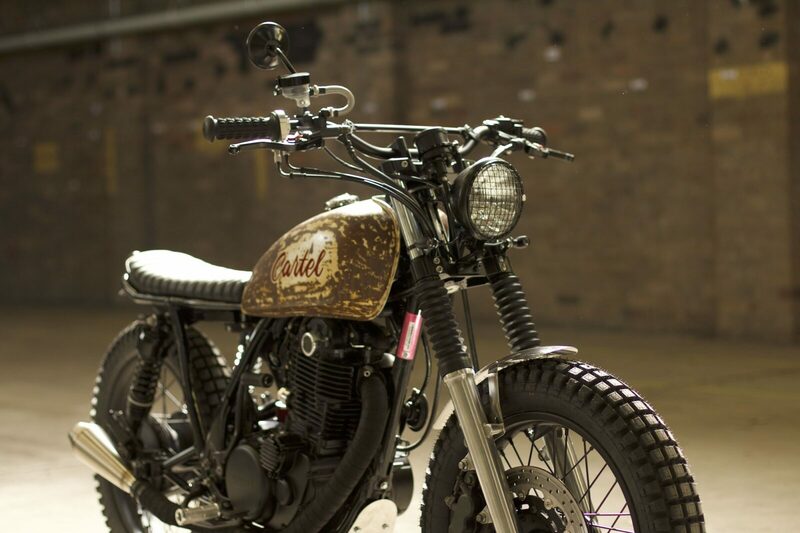 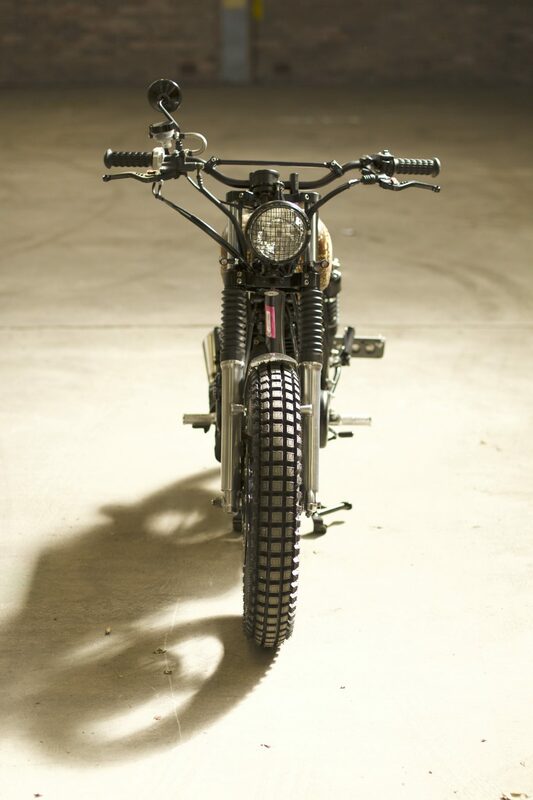 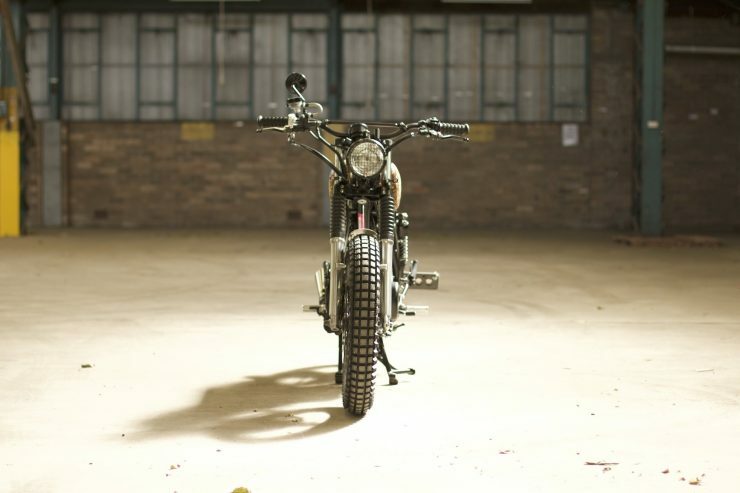 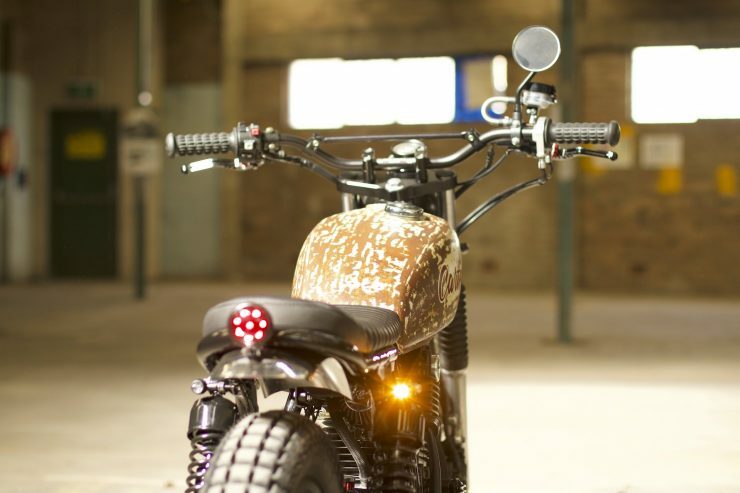 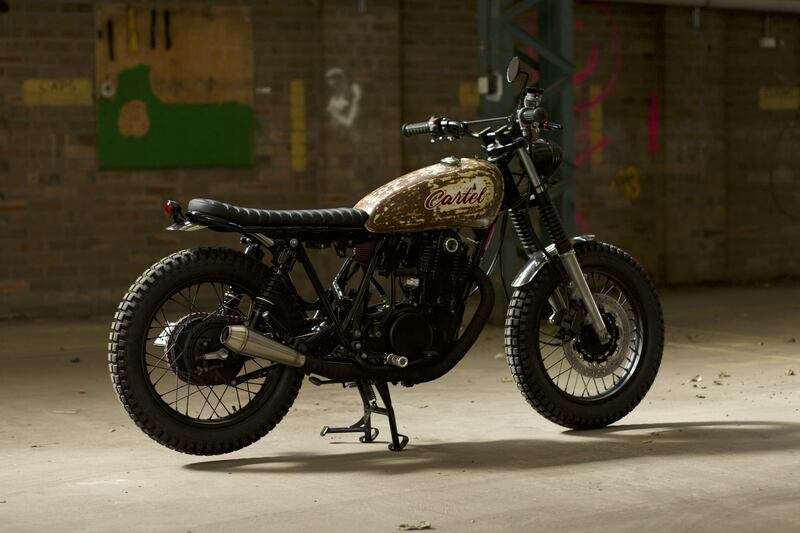 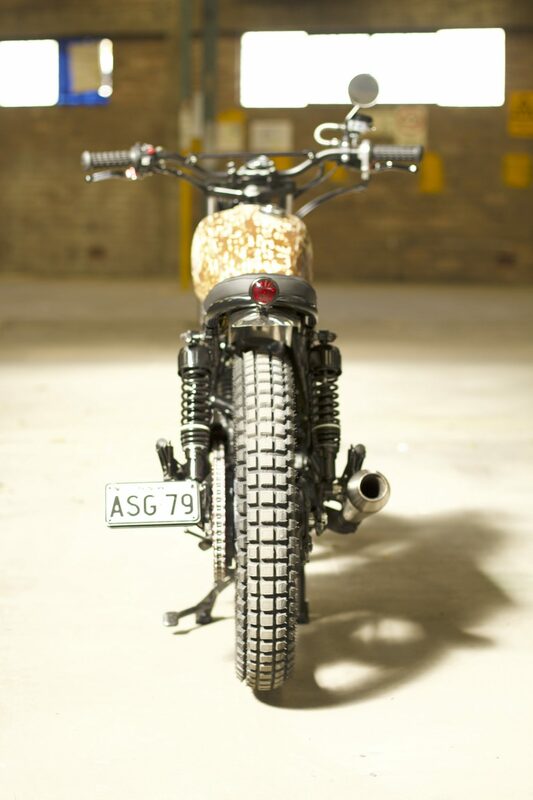 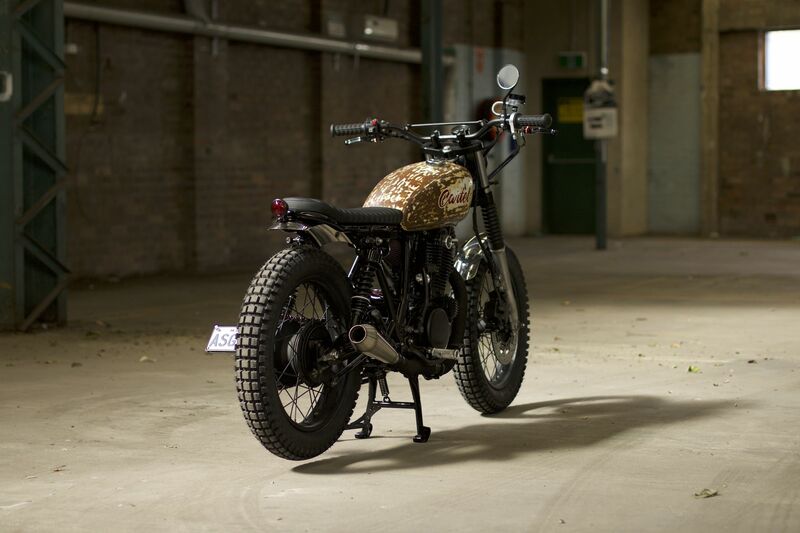 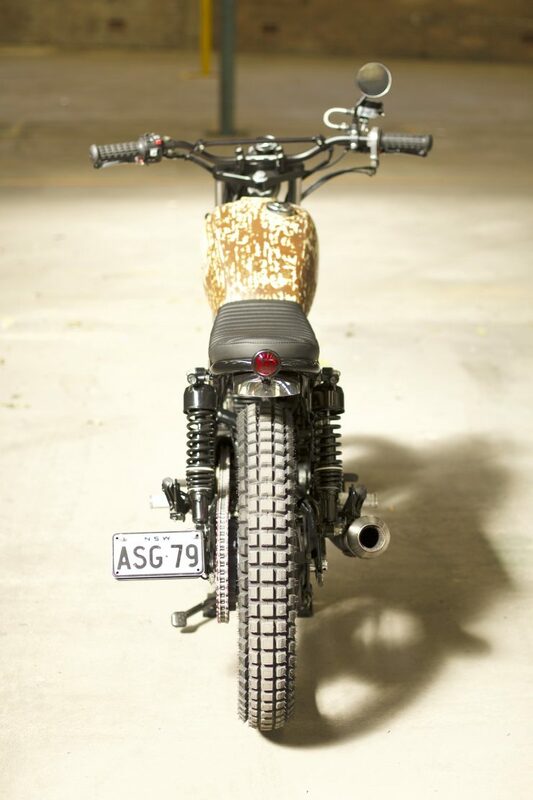 As a platform for customisation – there are few bikes as popular as the SR400. 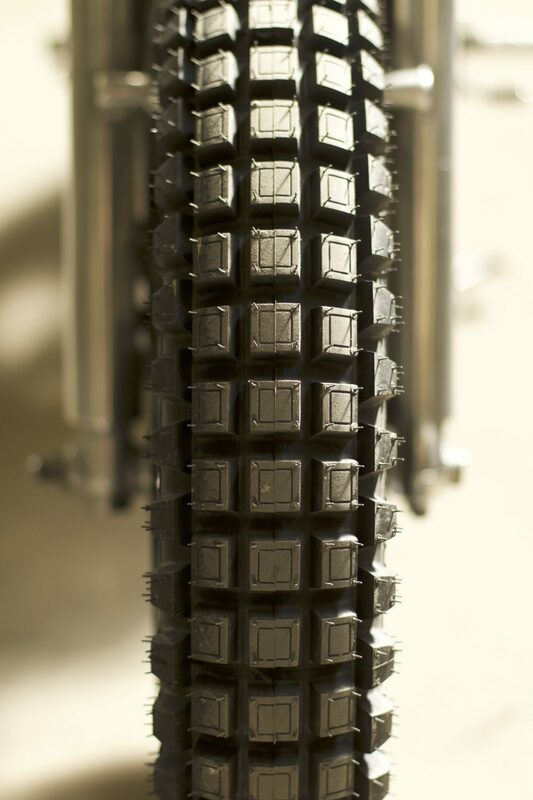 Obviously its heritage as a successful desert racer means that they can handle almost anything that’s thrown at them – and the simplicity of the bike makes it appealing as a foundation. 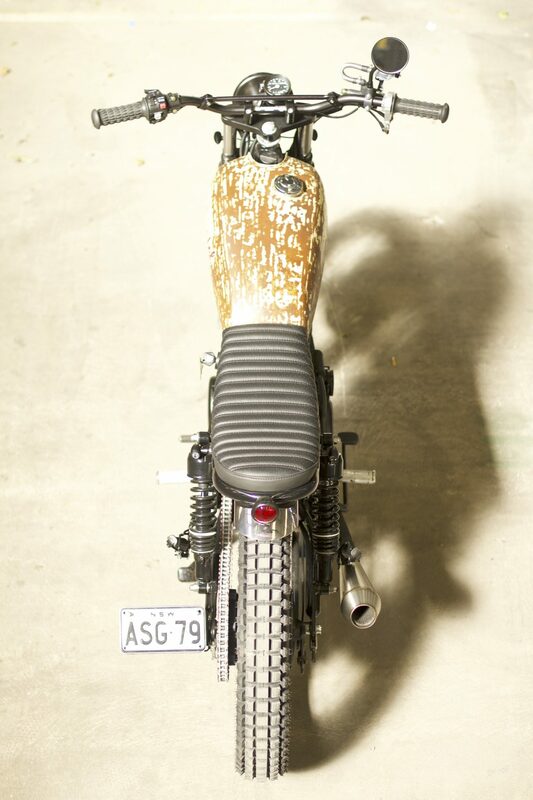 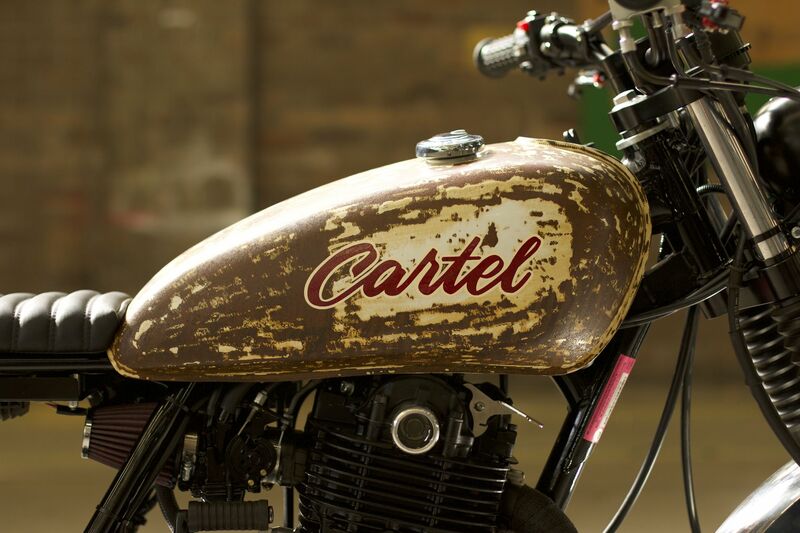 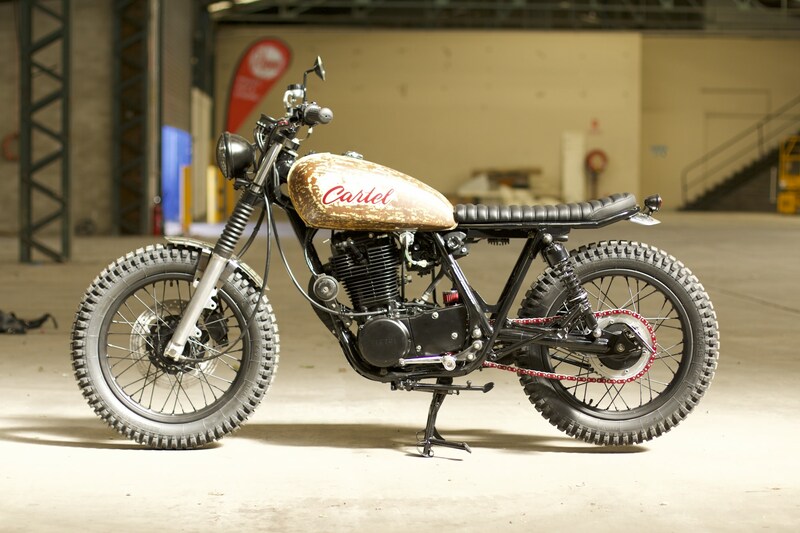 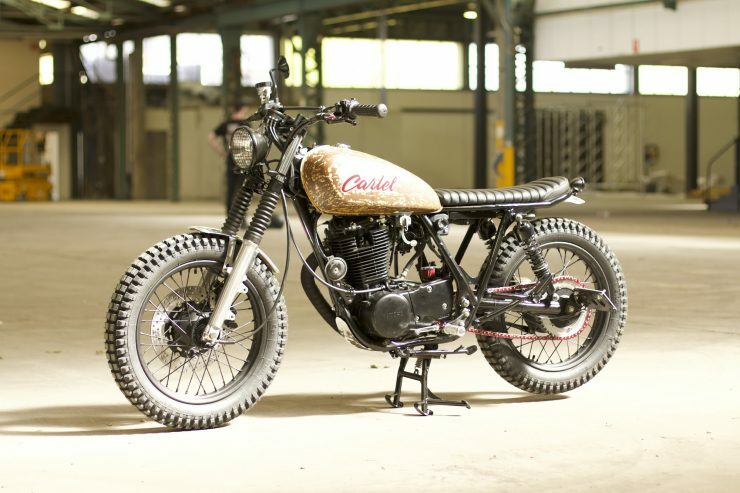 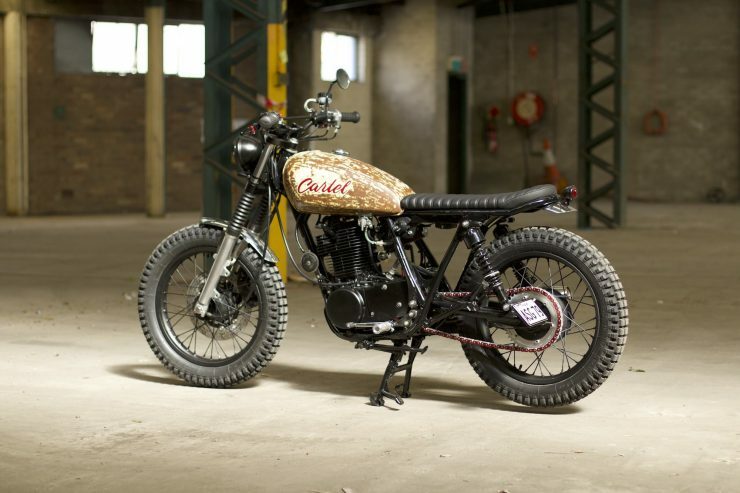 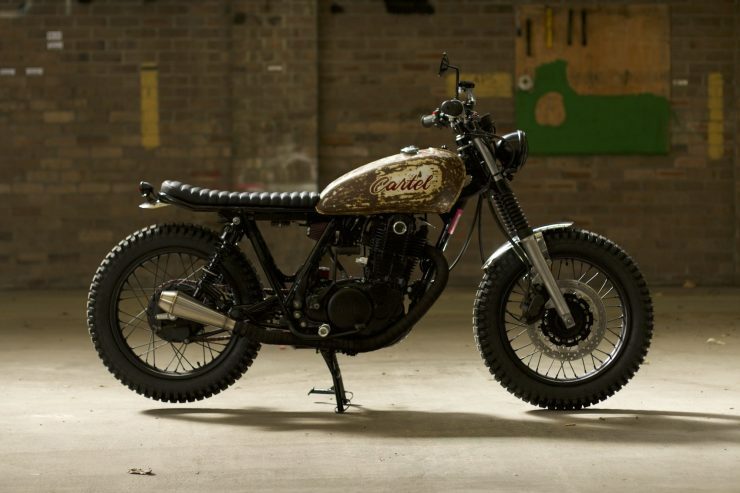 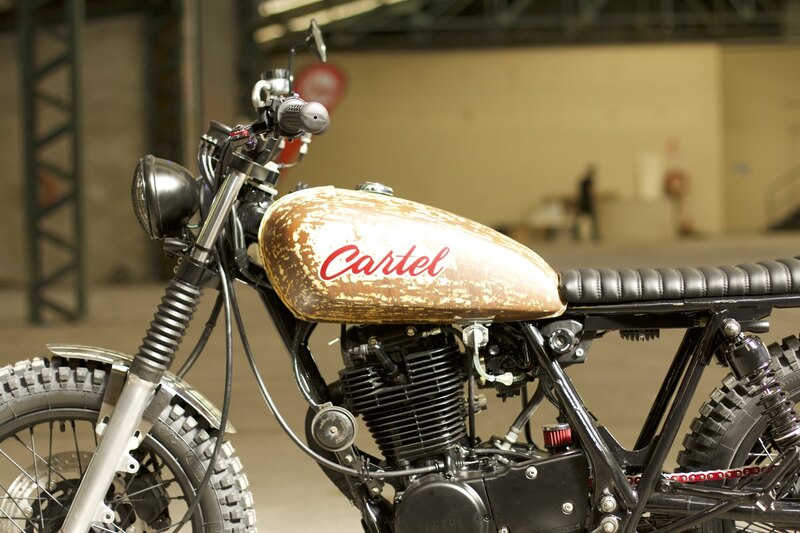 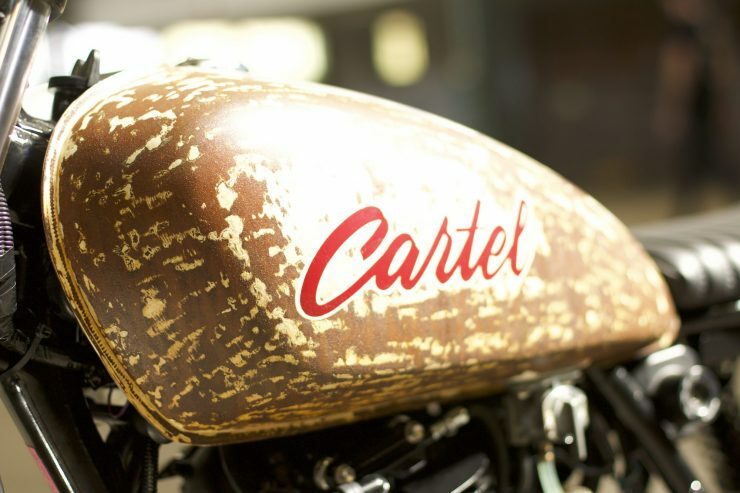 When Fraser ‘Cartel’ Carter approached Gasoline Motor Co. in 2016 with his trusty SR400 his goal was to have them turn it into something a little unique – that would still be ideally suited to use as a daily rider, just with a little additional character. 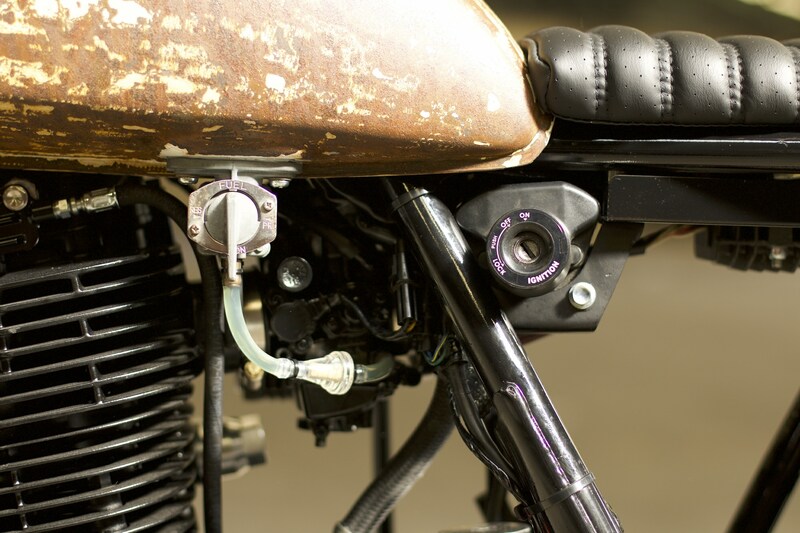 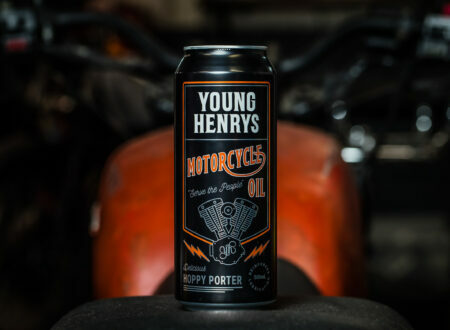 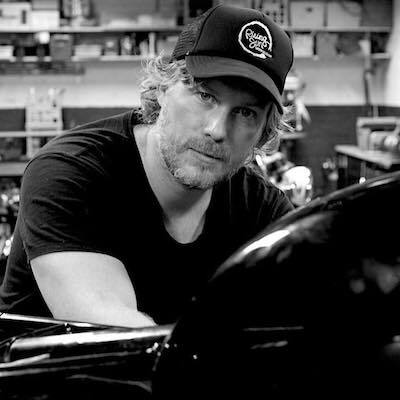 The build started with a full teardown and engine reconditioning, it was repainted black upon reassembly and fitted with a bespoke exhaust made in-house at Gasoline. 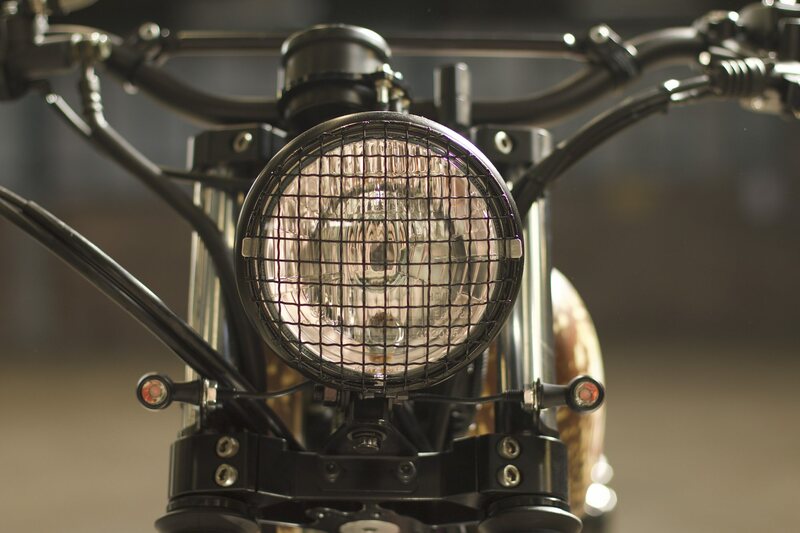 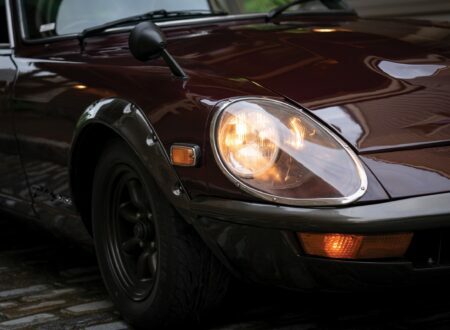 The stock wiring loom was heavily modified and all of the stock lighting was removed and replaced with modern lighting – including the brake, indicators, and headlight. 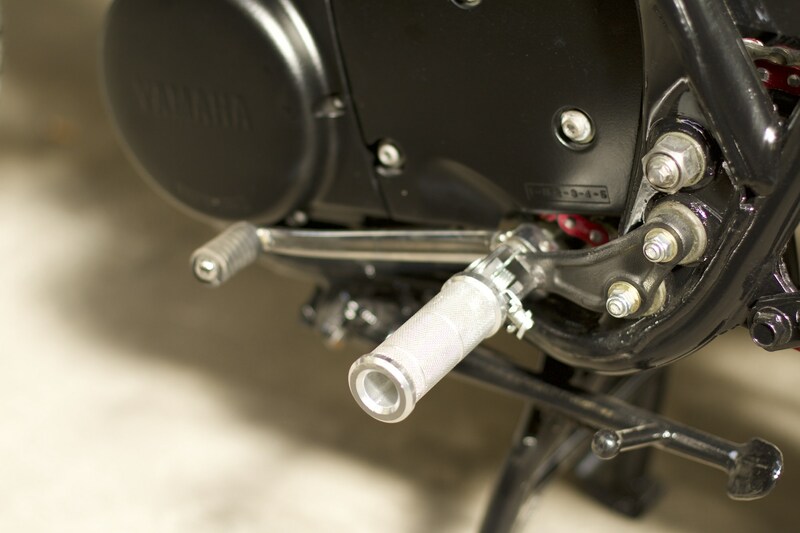 A custom tail-tidy was undertaken, and the SR now uses smaller front and rear fenders, as well as a new low profile seat, and a set of lightweight aluminium pegs. 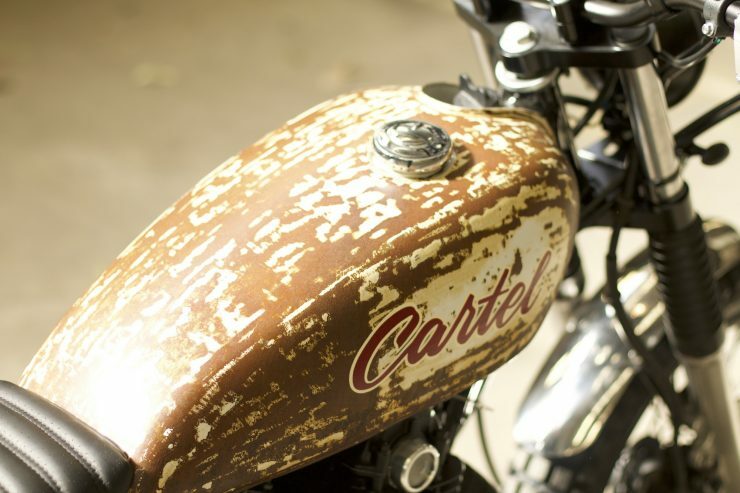 The fuel tank is often the centrepiece of a build and this one is no different, as a hat tip to the toughness of the SR series the tank has much of its paint removed and was then left out in the rain and sun for a week to acquire some character. The owner’s nickname was then painted on each side by a local Sydney artist before it was matte clearcoated for preservation. 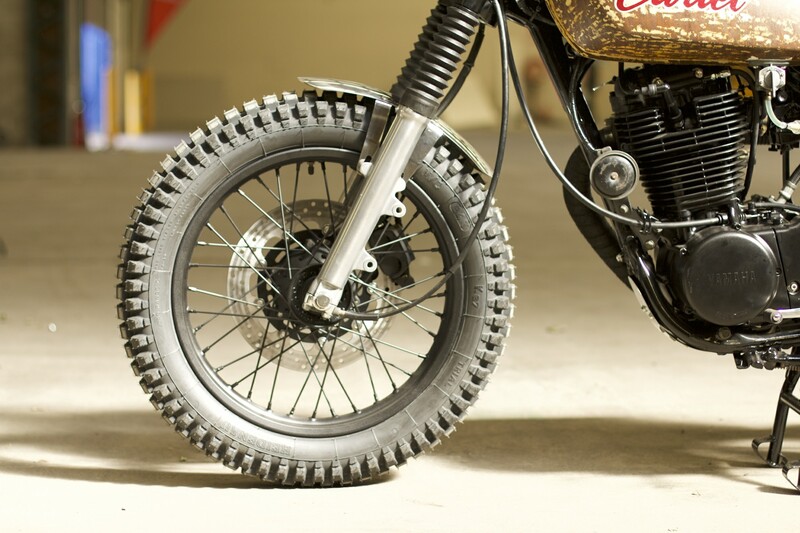 A pair of knobbly tires were fitted to give the bike a little of the Paris-Dakar feel of its older sibling, along with new rear shocks, and a pair of fork gaiters. 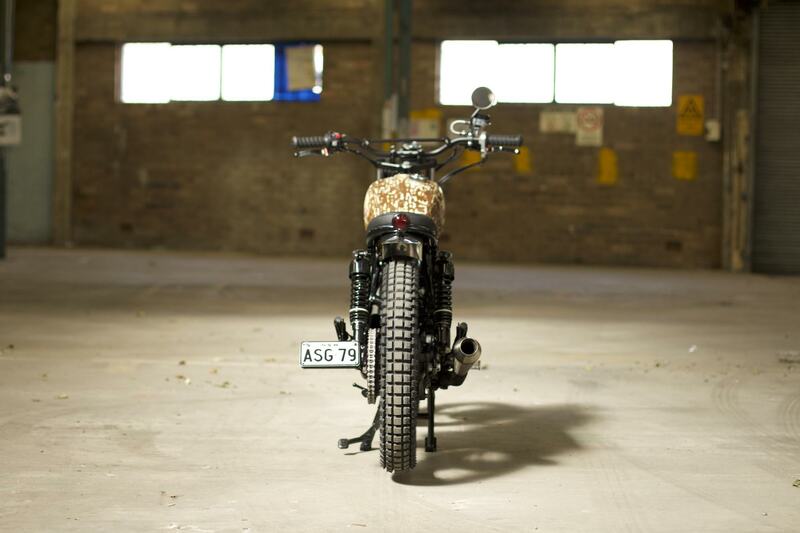 The finished build is a daily-ridden custom bike designed to be supremely practical, as well as one-of-a-kind – not an easy accomplishment, and one we don’t see as often as we’d like. 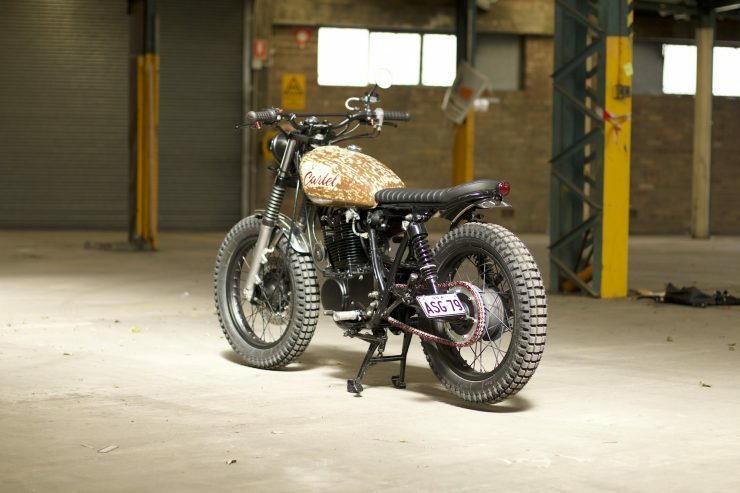 Gasoline Motor Co. has recently moved to a new premises located at 1037 Bourke St Waterloo in Sydney. 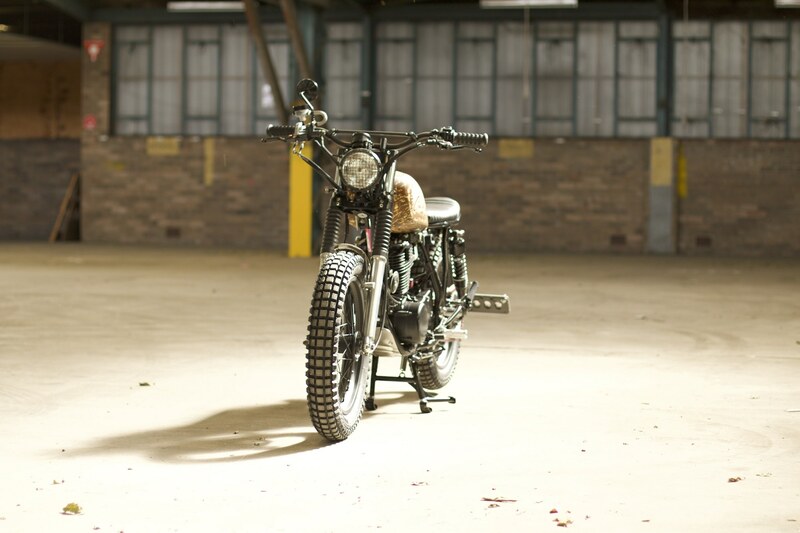 The brand new workshop and showroom is open now, and you can click here to visit the official website to learn more.